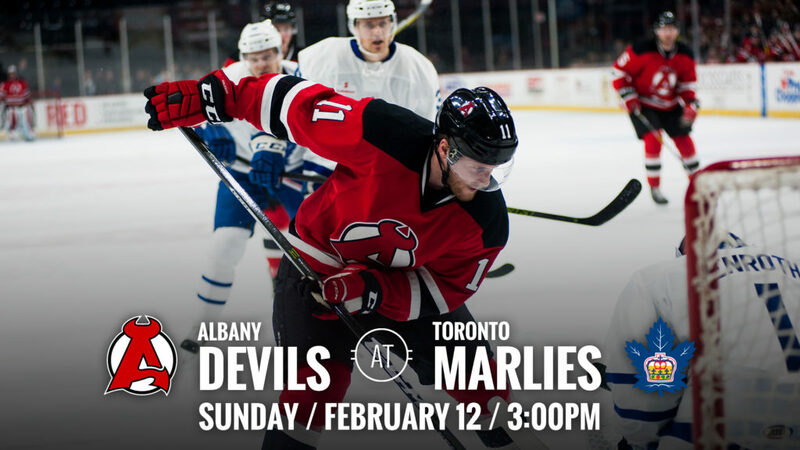 TORONTO – The Albany Devils face off against the Toronto Marlies Sunday at 3 pm at Ricoh Coliseum to close out their 3-in-3 weekend. 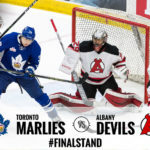 The two teams faced off Saturday at Ricoh Coliseum and the Devils walked away with an overtime win, 5-4, after scoring four unanswered goals. 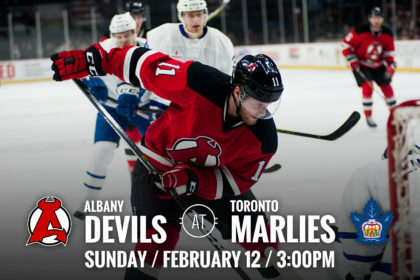 The Devils record is 28-10-1-1. 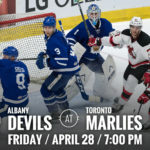 The Marlies hold a 22-21-3-1 record. 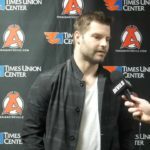 Multiple Points: During Saturday’s game, four different Albany players earned two points each in their 5-4 win over Toronto. 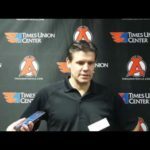 Petr Straka netted the first goal of the night and picked up an assist, Blake Coleman and Nick Lappin each got two assists, and Ben Sexton netted two goals within the last three minutes of the game. Overtime Hero: Yohann Auvitu netted the overtime winner Saturday from a Nick Lappin pass with 48.4 seconds remaining in the extra frame. 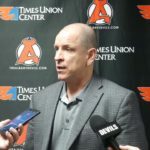 Auvitu has 7 points (3g-4a) in 14 games played with Albany so far this season. He has played in 25 games with the NHL club this season and has 4 points (2g-2a) with them. 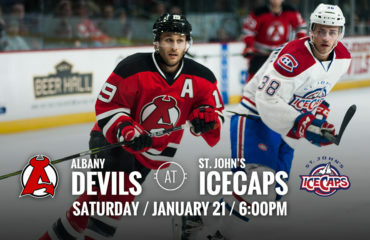 Hot Streak: Nick Lappin extended his point streak Saturday after getting two assists, including the game winning assist. 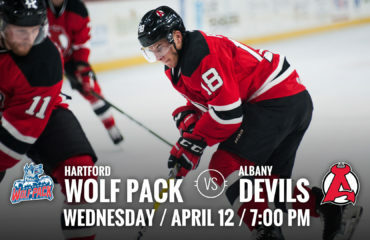 He currently has 13 points (5g-8a) in 17 games played with Albany this season. 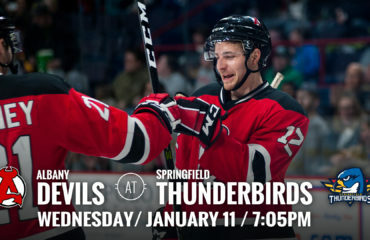 He has played 35 games with the New Jersey Devils this season and has seven points (4g-3a).